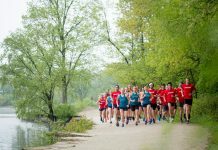 Attempting to qualify for the Olympics in a second sport, the Wisconsin native talks about her professional marathon debut in Chicago. In 2009, Gwen Jorgensen had just graduated from the University of Wisconsin and found herself with a nice desk job as an accountant for Ernst & Young in Milwaukee. 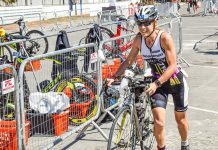 That’s when she got a call from USA Triathlon, who were desperate to find recent college graduates with both swimming and running backgrounds; they encouraged her to give triathlon a try, and she turned out to be the prodigy they’d hoped she would be. She qualified for the 2012 Olympics less than two years after turning pro, and won back-to-back ITU World Championships in 2014 and 2015 (the later coming in Chicago). She didn’t disappoint as the heavy favorite at the 2016 Rio Olympics, where she earned the USA’s its first triathlon gold medal. After reaching the pinnacle of her sport, and the birth of her son, Stanley, Jorgensen found herself looking for a new challenge. That’s when she had a seemingly crazy idea: She would qualify for the 2020 Tokyo Olympics in the marathon and try to win gold in a second sport. She ran the New York City Marathon a few months after the Rio Olympics, finishing in 2:41:01, but this year’s Bank of America Chicago Marathon will be her first as a professional runner. She has spent the last year training with the elite Bowerman Track Club in Portland, Ore.
We caught up with Jorgensen to talk lofty goals and racing close to home. Chicago Athlete: There are plenty of great fall marathons to choose from. What made you and your coach pick Chicago for your first true marathon test? Gwen Jorgensen: I leave all race calendar decisions up to [my coach] Jerry [Schumacher]. So when he said Chicago, I was thrilled because I grew up only 90 minutes away. Chicago is a major marathon with a mass start. It’s a flat course and will be a great first test to see where I’m at. And I am excited for my family to be able to watch me take on my new line of work. 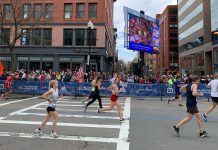 CA: You were pretty green to the marathon game when you ran NYC in 2016, but are there any lessons you took away from that race that you can apply to marathon number two? GJ: Simply to run a lot more. I maybe ran 80 miles per week one or two times before NYC and my longest run was 16 miles. Now I run a lot more per week and my long run far exceeds 16 miles. I also now respect the distance. 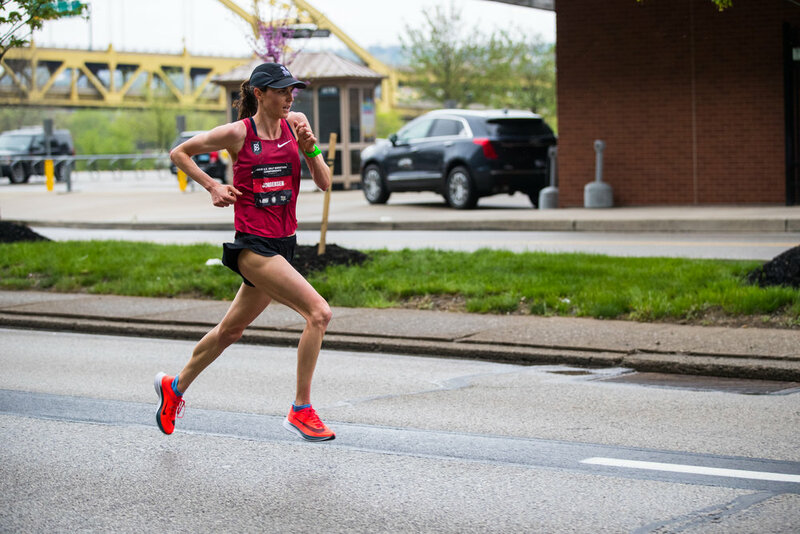 I am a competitor at heart and will always want to go out with the leaders for the win, but I know that in a marathon that may not always be the best way to run my fastest time. I will likely pick a goal time for Chicago as we continue to see how my training goes and then stick to that pace early on in the race. CA: You were openly disappointed with your result in Pittsburgh (at the USATF Half-Marathon National Championship). Did you and your coach make any changes to your program after that? GJ: Honestly no changes were made. Too often athletes panic when they have a disappointing results. I went back to work and continued to put in the miles. CA: What do you remember most about that day you won your second world title in Chicago and what are you looking forward to most about racing here again? GJ: I have great memories of racing in Chicago for triathlon and having so many friends and family attend. I am excited to go to Chicago and give my best effort and celebrate with friends and family afterwards. CA: Amy Cragg and Jordan Hasay are racing Chicago as well. Do you see this as little preview of what the competition will be like at the 2020 trials? GJ: I am clearly competing for Olympic spots with those women come February 2020, but racing Chicago this year I can only control myself leading up to the race and on race day. If they go out at American record pace, I do not see myself keeping them company for long. CA: Last year the lead group was sub 1:10 through 21K. If there’s a similar pace this year, will you try to go with them or do you focus on running your own race? GJ: Jerry has not set a pace strategy for me yet. I would love to negative split this race and I do not believe I can back end quicker than 70 minutes yet. CA: Can we expect you to run two marathons in 2019 before the Trials in February of 2020? GJ: That is tough to say. Right now I am solely focused on Chicago. I would imagine after we see how I pull up from that, Jerry will begin to shape my 2019. I fully believe and trust in Jerry, so I do not ask too many questions about the future. I take the training and the racing one day at a time. CA: This will be your first major event as a mom. Will Stanley be there at the finish and how might having him around help keep things in perspective at a big race like this? GJ: I cannot wait to have Stanley at this race. He loves being around people, just like his Dad. Having a child is the best motivator and even better for perspective. I can be having a terrible day training and Stanley can get me to smile and laugh in a second. I am so lucky to have him around. CA: We Chicagoans like to think we have the best food city in the world. What will be on your menu before—and more importantly after—the race? GJ: Patrick will cook my pre race meal. Post race I will have to have my fans vote: deep dish or a hot dog? Patrick and I went to Alinea after my win at the 2015 ITU Grand Final. It’s an amazing treat, but I’m not sure Stanley would enjoy it quite yet. This will be a competitive marathon. Can not wait to see it!